Are the Hawks diverting attention away from #GuptaLeaks? A week ago, City Press revealed that the China Communication Construction Company (CCCC) was gearing up to close South African state contracts worth R70 billion – without a public tender. CCCC subsidiary Shanghai Zhenhua Heavy Industries (ZPMC), which sold port cranes to Transnet, is already embroiled in the corruption contagion spreading from President Jacob Zuma’s administration. Now we have found the crane manufacturer’s kickback agreement with a Gupta intermediary. Transnet bought seven of the worlds’ most expensive port cranes because a Chinese state-owned firm inflated the price to pay off the Guptas, a kickback contract shows. ZPMC delivered the cranes to Durban container terminal in 2012 and 2013. When Transnet awarded the contract in September 2011, the cranes were worth no more than $81m (R570m then), but ZPMC inflated the price to $92m (R650m) to make room for “commissions and fees”. This is according to an “agent agreement” between ZPMC and a Dubai company called JJ Trading (JJT). This is the third Gupta-Transnet alleged kickback contract we have found. The others involved locomotive manufacturer China South Rail and German software giant SAP. JJT stood to take most of the crane price increase, plus an extra cut, all together totalling $12m (R84m). In return, JJT would make sure ZPMC got its contract. However, financial records in the #GuptaLeaks show that JJT was largely a cut-out for the Guptas, who got most of the JJT money. The implication is that ZPMC paid bribes to the Guptas, who were somehow able to influence Transnet to give it the contract. A crane expert described this deal as “the most expensive crane sale of its type ever recorded”. They did not want to be named. This kickback contract adds to a mounting body of evidence that the Guptas were gatekeepers of Transnet contracts, from which they extracted enormous “tolls”. JJT styles itself as a scrap metal trader, but the #GuptaLeaks suggest it runs a brisk money laundering service too. Transnet said it was investigating the matter. The Gupta brothers Atul, Ajay and Tony are close to Zuma, bought a house for his wife and are in business with his son. The Guptas have consistently declined to answer questions, but Atul told BBC the #GuptaLeaks were fake. In late 2010, Transnet tendered to buy two ship-to-shore gantry cranes to move containers to and from ships at Durban container terminal. Meanwhile, a shadowy group of agents got to work on the tender behind the scenes. A port insider with knowledge of Transnet’s crane deals alleged that the agents lobbied Transnet to change the crane specifications to suit certain bidders and to increase the number of cranes from two to seven. The insider also alleged that the agents obtained confidential documents, including port budgets, upcoming procurement plans and competing bidders’ proposals. Such inside information could make or break competitors’ bids. The #GuptaLeaks show that in December 2011, a senior Gupta manager emailed a person linked to JJT a confidential Transnet document outlining an upcoming crane tender. The document metadata indicates that it was drafted by an employee in Transnet’s office of the chairperson and group chief executive. Then CEO Molefe told us he did not know how the Guptas got it. Transnet spokesperson Molatwane Likhethe said the company knew of nothing untoward: “A technical assessment indicated that the two 20-metre gauge rail cranes that the company initially planned to buy would not meet the weight requirements for the quay wall due to excessive wheel loads. So, Transnet cancelled the two-crane tender and issued a second one in 2011 for seven more expensive “tandem-lift” ship-to-shore cranes. In June 2011, ZPMC marketing manager Aqwa Chen signed an “agent agreement” with an unidentified JJT representative. It describes Transnet’s tender for the seven tandem-lift cranes and states that JJT “has agreed to assist [ZPMC] as an agent to facilitate in this bid”. The contract describes an apparently innocent role for JJT. According to this, JJT would “facilitate” and “handle” ZPMC’s bid “and other relevant matters”. It would communicate with Transnet on behalf of ZPMC and help the Chinese staff to understand South African laws, codes and customs. JJT would even send out invitation letters, make hotel reservations and arrange airport shuttles. But, critically, ZPMC would only pay JJT on condition that Transnet gave it the contract. Four months later, Transnet awarded the contract to ZPMC. There was much fanfare when ZPMC delivered the first three cranes a year later. Molefe and then public enterprises minister Malusi Gigaba attended the ceremony. News reports said these were the first tandem-lift cranes to be installed in the southern hemisphere. World Cargo News reported that no one outside of China used them, except for one Dubai port, which had by then adopted a different solution. They said that port logistics crews often battled to manage the double lift, so the efficiencies were seldom realised. But, last week, Molefe told us: “We decided on the tandem-lift cranes of that size because the type of vessels that were calling into Durban were quite wide, and our cranes could not reach to the other side of the vessels. These new cranes can, and they can take two containers at a time instead of one.” He said this would double the cranes’ efficiency. Again, the crane expert disagreed: “Most cranes can do the double container lifts.” The tandem-lift capability was not necessary for this. Ultimately, it is not clear if Transnet’s decision to buy expensive cranes from ZPMC made technical and economic sense, but if it did not make sense, as alleged, that is probably because ZPMC was paying off the Guptas. We recently reported that JJT and related shell companies received about R1.5bn in Transnet kickbacks. China South Rail (CSR) paid most of this. The first Gupta kickback contract we published showed that the payments were in return for the “agents” making sure Transnet gave CSR a locomotive contract. Most of this was paid on to Gupta-controlled companies in the United Arab Emirates. From the JJT transfers, we identified about R55m that ZPMC paid to the Guptas, through JJT, between 2011 and 2013. Now that we have the ZPMC-JJT kickback contract, it is clear that ZPMC was in fact paying the Guptas to make sure it got the Transnet contract. The kickback contract and a related document explain that JJT was to be paid $12m (R84m then) – if ZPMC won the Transnet contract. The kickback contract described JJT’s commission using a complicated formula with no values. The values can be deduced from the second document, another agent contract. These revealed that even though ZPMC “offered” to sell its cranes for $81m, Transnet would pay an inflated price of $92m, to make room for the “commissions”. JJT would keep 85% of the increase plus 3% of the Transnet price – $12m. It is not clear who got the remaining 15% of the increase – $1.7m. We previously reported that during the tenures of Molefe and Anoj Singh, Transnet’s former chief financial officer, Transnet spent about R30bn on contracts against which suppliers kicked back R5.6bn to the Guptas. Singh and Molefe both said they were not bribed. ZPMC is a subsidiary of both the Shanghai-listed CCCC and its parent, the state-owned China Communication Construction Group. City Press reported a week ago that, on the heels of Jacob Zuma’s attending the Brics summit in China, CCCC is preparing to close South African government contracts worth more than R70bn – without a public tender. It declined to explain its relationship with JJT. 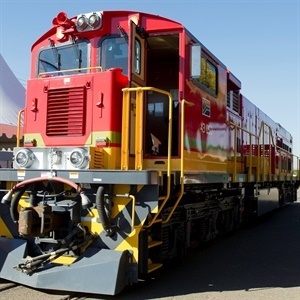 We recently revealed that German software giant SAP signed a contract to pay “sales commissions” to a Gupta intermediary in order to clinch Transnet business. SAP denied these were kickbacks. The amaBhungane Centre for Investigative Journalism is an independent non-profit. Be an amaB supporter to help it do more. Sign up for its newsletter to get more. Scorpio is the Daily Maverick’s new investigative unit. If you’d like to support its work, click here.